The National Exercise and Sports Trainers Association’s (NESTA) offers a 100 percent online Sports Nutrition Specialist training designed to help improve sports performance based on nutrition. The training is ideal for personal trainers and coaches who want to help their athletes improve and heal. Ever wonder how football players are able to return from major injuries in just weeks? How ultra-marathon runners can keep going and going and going without stopping to eat? As many sports and athletics fans know, food and performance are intricately linked. To further examine the role of nutrition in sports performance, the National Exercise and Sports Trainers Association (NESTA) has a 100 percent online Sports Nutrition Specialist training program. 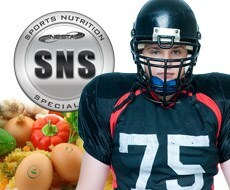 Available at http://www.nestacertified.com/sports-nutrition-training-course/, the Sports Nutrition Specialist focuses on cutting-edge techniques that reduce recovery time and enhance well-being for clients, building new skills to increase earning potential, and amassing tools and strategies for improving the performance and nutrition for athletes of all levels. The NESTA Sports Nutrition Specialist program is designed for personal trainers, strength coaches, group fitness instructors, martial arts coaches and others interested in helping their clients with nutrition and sports performance. The program is 100 percent online and self-paced; it generally takes one to two weeks to complete. “We designed this program to give you the knowledge you need to differentiate between nutrition facts and nutrition myths. Nutrition can be confusing to clients, with conflicting opinions and ideas about the fuels to choose, the thousands of dietary supplements available, and what and how much to drink. We cut through the hype and provide you with a scientifically sound program that works both in the lab and on the field,” Ellis added. Topics covered include sports nutrition basics, the digestive system, energy systems and needs, macronutrients, translating research into results, body composition, methods for effective weight loss and gain, dietary supplements, eating disorders in athletes and more.